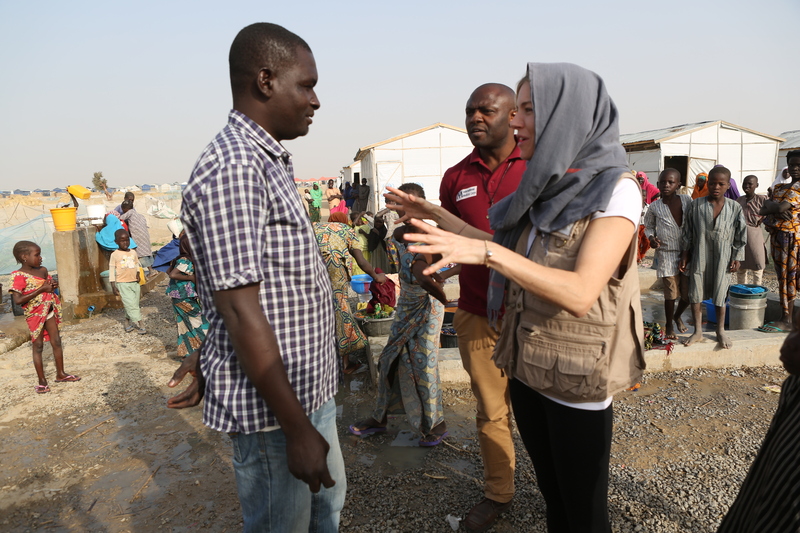 Actress Sienna Miller, our Global Ambassador since 2009, visited our programs in Nigeria in January and met with survivors of the Boko Haram insurgency at a displacement camp in hard-hit Borno State. 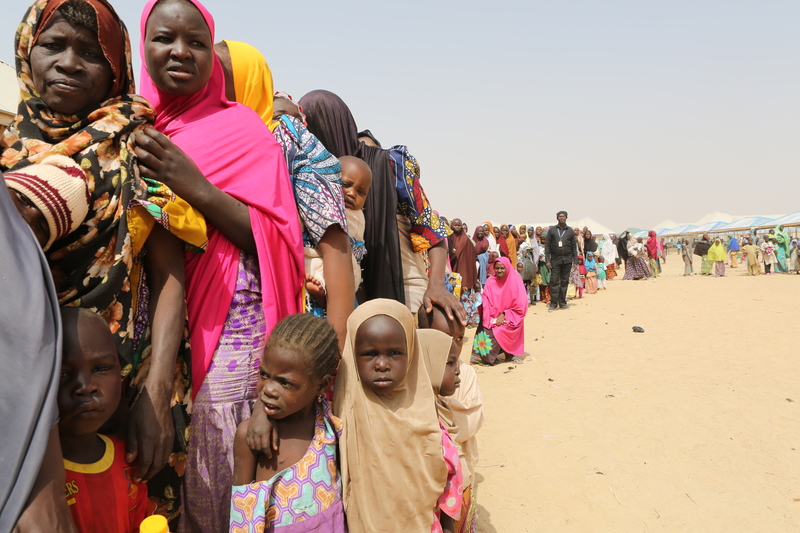 The camp is home to people who have fled to escape violence associated with the Boko Haram insurgency. Boko Haram attacks have displaced 1.2 million people in Borno state. Displaced families now living in a camp in Borno state lined up for food being distributed by International Medical Corps. 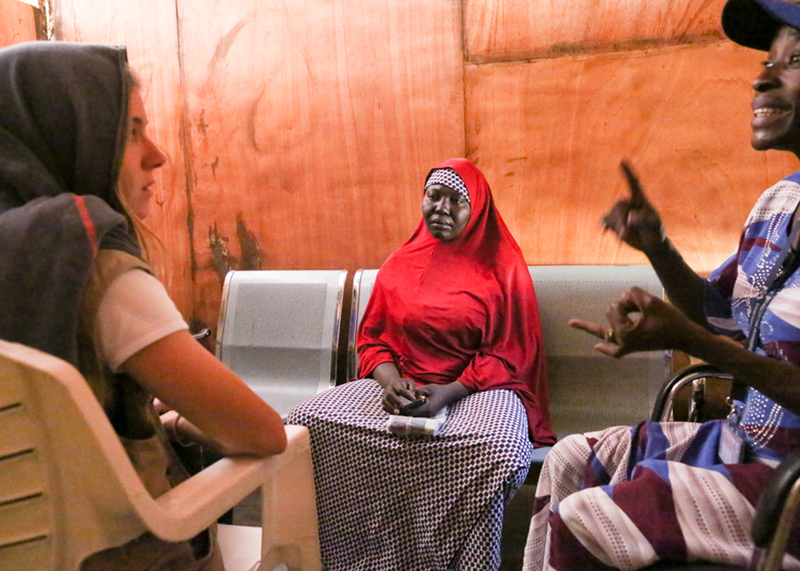 Sienna visited a women’s center, where women shared their stories of being displaced by the Boko Haram insurgency. Sienna talked with many people who have fled the Boko Haram insurgency and are now living in the camp. During her visit, Sienna saw our many programs in Nigeria, including nutrition, water, sanitation and hygiene (WASH), gender-based-violence and protection, mental health and psychosocial services, and vaccination. While visiting our nutrition program, Sienna met mothers and children suffering from severe malnutrition after having fled attacks by Boko Haram. These vaccinators, trained by International Medical Corps, were implementing a polio vaccination campaign in the camp. As Global Ambassador for International Medical Corps, Sienna Miller has also visited our programs in the Democratic Republic of Congo, Ethiopia and Lebanon.